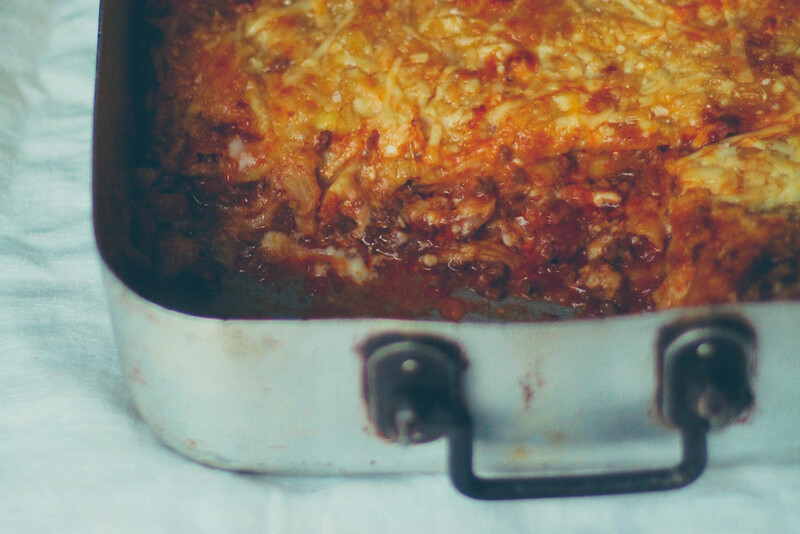 Lasagne is a perfect meal. A meal which needs time, work and effort; but it's not that you should always go trough preparing it all by yourself. It's one of those recipes that you can prepare while you are chatting with a friend in the kitchen and drinking wine! You can ask anyone to help, from making the pasta to rolling it, while one can check the bolognese sauce you can prepare the besciamella (white sauce). Children can help layering it up, it’s lot of fun! All done in two hours of chat, love, laugh, cooking with family and friends. It always comes out perfect. It makes people come together, nobody gets tired and everyone’s happy to make a meal. That’s what make lasagne a perfect dish. And I love recipes rich in taste and full of culture. The first recipe is to be attributed to the Neapolitan area and dates back to the XIII-XIV century. It’s mentioned in many cookbooks of the European Renaissance. From the seventeenth century lasagne started gaining importance and became popular reaching a major role in menus of Carnival and Easter. The Neapolitan version of the recipe did not use any fresh egg pasta and was made with the following ingredients: tomato puree, mozzarella or provola, meatballs and ricotta romana. In Emilian tradition (Bologna’s region), Lasagne is made with fresh egg pasta, bolognese sauce, besciamella (white sauce) and Parmigiano-Reggiano cheese and oven baked. In Bologna also they call it "Lasagne al forno”, which literally means “oven baked lasagne”. Out from Emilia this dish is known as just "lasagne". In some areas of Marche and Umbria they traditionally use chicken liver, sweetbreads, bone marrow, bovine brain or truffle, for the dough, instead, sometimes they add Marsala wine or baked wine. In some cities in northern Italy families use spinach to make the pasta green or; in central Italy the use of other ingredients such as mushrooms or other types of vegetables is common. In sicily the sauce is very similar to the neapolitan one, the difference is the add of hard-boiled egg, fried meat-balls or seasoned cheese. well, as you can see there are many different types of "lasagne al forno" all over Italy. You can use other veggies or make your pasta with spinach to make it fun for the children, at the end if you prepare a rich tasty sauce and a perfect besciamella, the rest is going to be all right! Just try to use the local, high quality ingredients as much as you can. Start with preparing the bolognese sauce. While you are waiting for bolognese sauce to cook, start making the pasta with love and care, don't rush, when the pasta dough is soft, round and beautiful means is ready, keep it in the fridge or in a cool and dry place for at least a half and hour. Roll the pasta to 1mm, if you like them ticker, up to 2mm; for lasagne either you can cut the pieces in 20x14cm or, as I did, cut them as they come out. When done, use a sharp knife to shape it as you desire. Keep the ready pasta sheets on floured plate or clean and humid cloth until you use them. Prepare the besciamella and transfer it to a bowl to cool down and cover with a cling film to prevent oxidation. Check and taste the bolognese sauce, season it well and if it's still runny, cook uncover until it gets ticker. 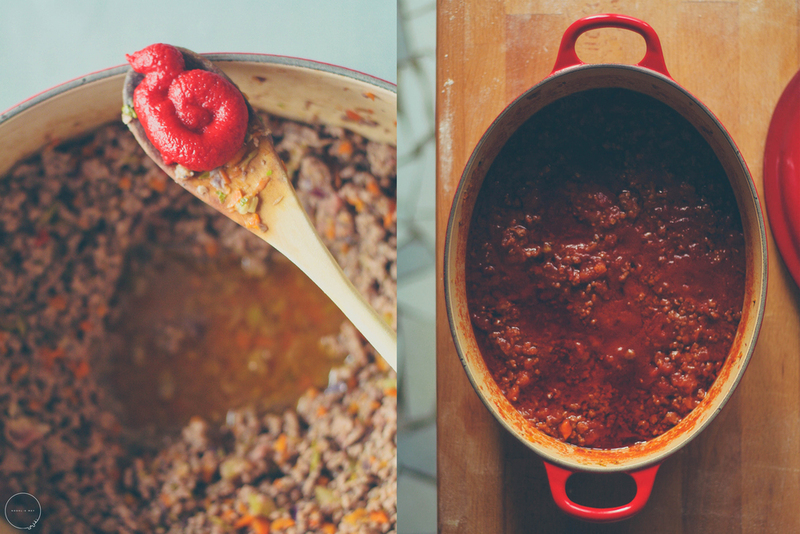 When the bolognese sauce cooked and rest for about 20 minutes, preheat the oven to 180°C/350°F/gas 4. Start layering the lasagne, at the bottom there should always be a little bit of sauce and besciamella, this helps the lasagne to not stick to the roasting pan. Continue with a pasta layers, one bolognese sauce layer, one besciamella, some seasoning (salt and pepper) and finish with cheese. Continue the layers as you desire. Finish the layers with a a little bit meat and besciamella on top. Cook the lasagne covered with a aluminum foil on 180°C/350°F/gas 4 for about 40 minutes, remove the foil, add the mix cheese (pecorino and parmigiano) on top to fully cover the lasagne and continue cooking uncovered at 200°C/392°F/gas 6 until is golden-brown on top. Make a small cut in the middle of the lasagne and let it rest for about 20 minutes. This will help the layers to set, flavors to be reabsorbed by the pasta and lasagne will taste much better. And no worries Lasagne will remain hot. 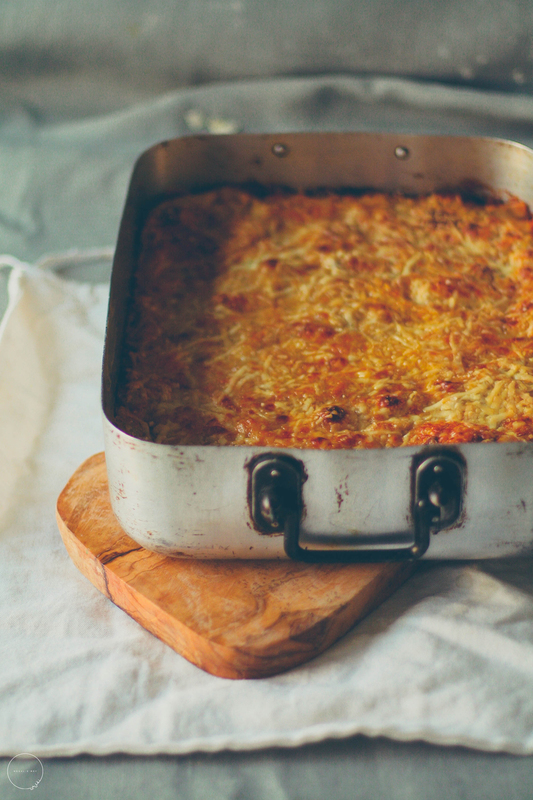 If the lasagne is very dry after cooking, you can add some milk all around the boarders of roasting pan and let it rest in warm oven. If it is a little bit runny, cook it for 10-15 minutes, using a convection oven, this will help to dry it faster. If the top it's perfect but still runny inside, that's because it's very hot, just let it cool a little bit and then serve.